Asperger Home Education is a resource centre for home educating children with Asperger syndrome or high functioning autism. Our objectives are to promote home education as a valid alternative to attending school, and to raise awareness of the benefits of home education amongst parents who's children currently attend school. We aim to connect home educating families of children with Asperger syndrome throughout the country and encourage the sharing and exchange of resources, experience, and expertise. Our own definition of home educated is not attending a state school or full time at an independent school. Children who attend real world or online educational institutions part time for a few hours a week are considered to be home educated. Although Asperger Home Education is primarily intended for parents, adults with Asperger syndrome or high-functioning autism are also welcome to contribute as they are often able to supply helpful information and advice from their knowledge base and past experiences. Keep up with news and developments in home education and Asperger syndrome. Ask questions, exchange knowledge, and share experience in our discussion forum. Participate in research into home education and Asperger syndrome. Contribute to the development and expansion of the website by submitting articles or other useful resources. Asperger Home Education isn't a passive community focusing purely on individual or family life. We consider ourselves to be an active movement committed to fighting draconian government legislation detrimental to the interests of home educating families or people with Asperger syndrome. 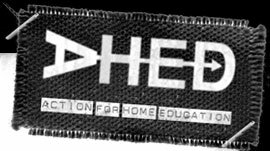 Our members maintain a friendly relationship with other prominent home education campaign groups including AHEd and Schoolhouse. If you are currently home educating any children with Asperger syndrome, or are considering home education, then we invite you to join our community. You will be very welcome.